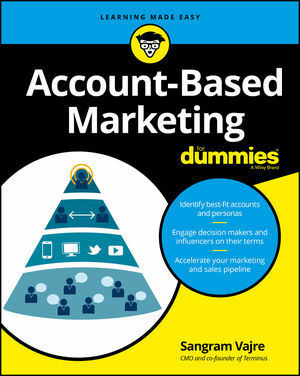 If you're a member of a sales or marketing team already using a CRM tool who's looking to increase your reach, Account-Based Marketing For Dummies has you covered! Sangram Vajre has quickly built a reputation as one of the leading minds in B2B marketing. Before co-founding Terminus, a SaaS platform for account-based marketing, Sangram led the marketing team at Salesforce Pardot. He has spoken on the topic of marketing technology around the world and is the mastermind behind #FlipMyFunnel.